I’ve been clearing a lot of things off my desk lately. 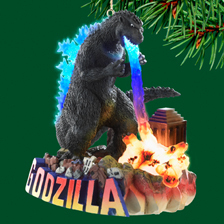 Not literally, of course, a man has to like his clutter and his Godzilla Christmas Tree ornament. (Seriously, it works great…) The things that I’ve been moving off of my desk has been projects. I had some articles to write, a play to rewrite (and we know how THAT went), and pre-production on the film (Did I mention we’re cast?). A lot of this is in preparation for the baby that is coming. Getting things DONE to welcome a child into the world that we can devote our full attention to and not have some nagging thought in the background… shouldn’t I be doing something? That’s the plan anyway. And we know how plans go… Ok in movies they work out like 60% of the time. Especially when Hannibal Smith is in charge. But, I’m coming to the conclusion, I am no Hannibal Smith. Because I keep finding projects. Things that NEED to get done. Things that require attention. This is where I bring up the whole digging to China metaphor. Have you ever tried to dig a hole to China? I have. 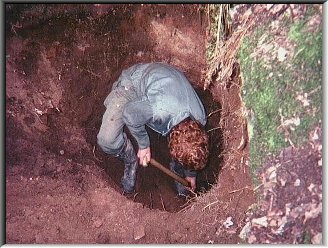 Ok, that probably wasn’t my intent as a child, I probably had very little understanding of geography, and, yeah, geology, but I would dig holes. And oddly, there’s no END to a hole. It keeps going. And that’s what it feels like right now. I can’t see to be DONE. I can’t seem to just… SEE the end of the hole. Because the hole keeps going and going. Projects bubble to the surface. I’m a little overwhelmed with the kid on the way and all of these things that need to be done… And I forgot that what I’m doing IS important to me. IS what I should be doing. I SHOULD be digging that hole to China, I should always be working. Alright… enough navel gazing… What’s Next? This entry was posted in Thoughts, Writing and tagged baby, China, complaining, Digging a hole to China, geography, geology, Hannibal Smith, Happy and You Know It, Larry Pontius, playwriting, rewriting, The A-Team, theater, theatre, TV, writing. Bookmark the permalink. Post a comment or leave a trackback: Trackback URL.